While studying under Vivaldi, three girls in a Venice orphanage forge their own notions of love in a sensuous, engrossing novel told in three narrative voices. It is a longing and search for love that motivates three girls living in the Ospedale della Pietà, an orphanage renowned for its extraordinary musical program. But for Rosalba, Anetta, and Luisa, the love they seek is not where they expect to find it. 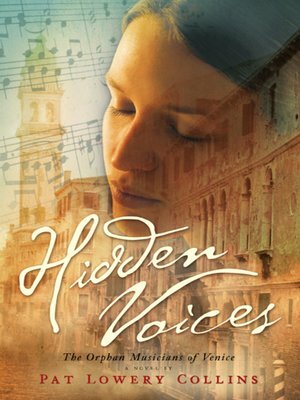 Set in the early 1700s in the heart of Venice, this remarkable novel deftly weaves the history of Antonio Vivaldi's early musical career into the lives of three young women who excel in voice and instrument. Under the composer's tutelage and care, the orphans find expression, sustenance, and passion. But can the sheltered life of the orphanage prepare them for the unthinkable dangers outside its walls?